An April 2017 internal staff transfer is now being questioned by County employees, according to multiple sources inside Washington County government. The Board of County Commissioners unanimously approved on April 4 to transfer the Engineering and Construction Management department’s office manager, Krisa Hart, to the position of Executive Office Assistant in the Office of the County Administrator. 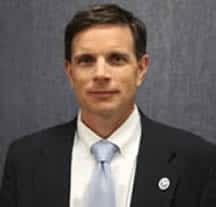 Hart previously reported to Rob Slocum within the Engineering Department and was ostensibly transferred to the Office of the County Administrator to serve under Slocum shortly after the five-member commissioner board unanimously appointed him to fill Greg Murray’s county administrator position. 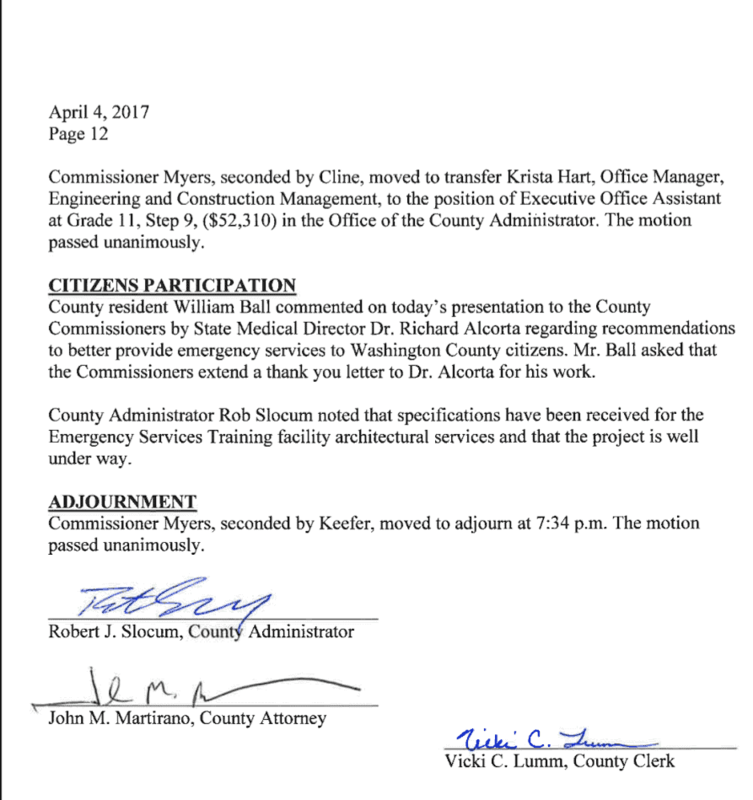 Murray, who was slated to remain in his administrator role for another year, was essentially pushed out of County government earlier this year by Commissioners LeRoy Myers, Terry Baker, and Wayne Keefer. Hart’s department transfer included a salary bump from a Grade 10 ($45,500) to a Grade 11 ($52,310), approximately a 15% raise. However, employees are typically granted only a 4% raise when promoted to a new salary grade, according to County policy. Additionally, County policy states that a vacant position will be publicized so as to allow other longterm employees with the requisite qualifications to apply for the job vacancy. Three County employees who contacted A Miner Detail and wish to remain on background said that Hart’s position, filled at Slocum’s pressing, was done so without consideration to employees who may have been more qualified to serve. 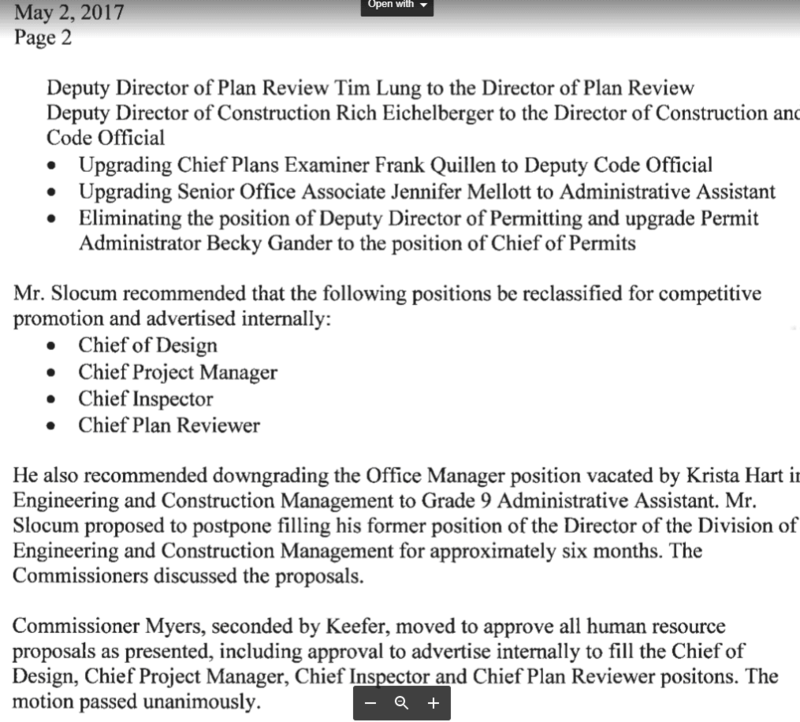 Slocum later recommended on May 2 that Hart’s vacated office manager position at the County’s Engineering and Construction Management be downgraded to a Grade 9 Administrative Assistant. A Miner Detail has been unable to locate the disclosure of Hart’s salary increase in the minutes for the April 4 commissioner meeting, which was held in Williamsport, Md. County employees who contacted A Miner Detail were even more frustrated that Hart’s daughter was hired several months ago as a part-time 911 Emergency Communications Center call taker. Sources inside County government claim that while Hart’s daughter participated in the County’s standard hiring process, she was likely offered her position at the behest of Slocum. A Miner Detail’s request for comment from County Administrator Slocum continues to go unanswered.